Hughes Marine specialise in the service and repair of all brands of marine and Industrial diesel engines, gearboxes and ancillary components. We are authorised dealers for the Volvo Penta, Kohler and Vetus brands. 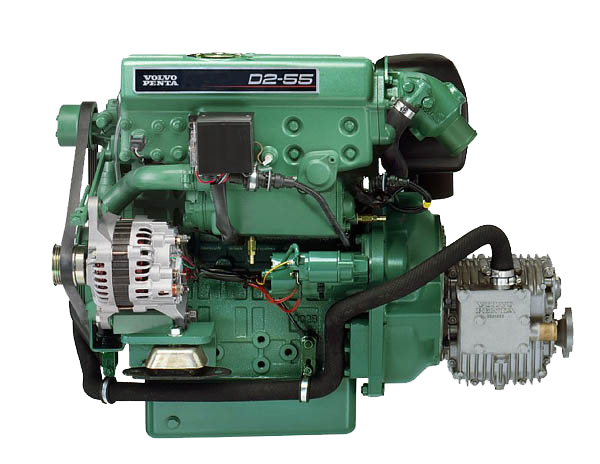 We also maintain and service most marine diesel engine brands including Yanmar, Cummins, Nanni and many of the older manufacturers including Perkins, Ford and Gardner. From our well equipped workshop in Kettering, we service the greater Hobart region and can travel Tasmania wide when required. As sailors ourselves we understand the importance of having well maintained systems on your vessel. Reliability of these systems is paramount to your safety at sea. We offer a wide range of services from mechanical inspections to routine marine engine servicing though to new marine engine installations. We keep in stock a wide range of marine diesel engine service parts and related chandlery. Hughes Marine is the authorised Volvo Penta dealer for Tasmania, providing expert Volvo Penta service, genuine parts and engine sales. Volvo Penta is a world-leading supplier of engines and complete power systems for marine and industrial applications. As an authorised Volvo Penta Dealer we have access to a range of industry leading engines to suit every application from 13 to 750 hp. Via our electronic parts catalogue we can assist you with all your marine and industrial parts requirements. Follow the link at the top of the page for more on Volvo Penta power systems.